Most blog readers are now well aware that I have been selected to stand in May's council elections for the Conservative party in Worcester Park. 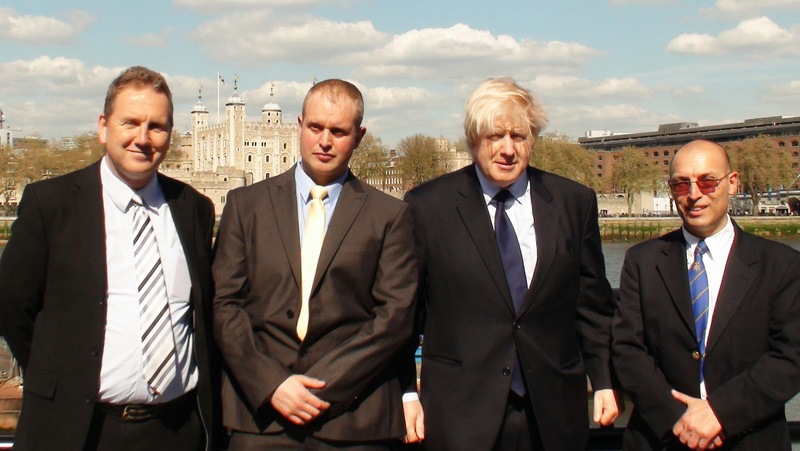 It was while wearing my 'Council Candidate hat' that I was summoned to City Hall with other local candidates on Thursday to meet with Boris (our London Mayor), thanks to Steve O'Connell. While we unfortunately didn't have as much time to talk as I would have liked, we did manage to raise a couple of issues with him. Firstly I reminded him of the need to ensure we get Crossrail 2 to call at Worcester Park - he remembers our campaign and petition and is keeping them in mind... Also, being that traffic is such a major problem in Worcester Park, we are pushing for a major cross boundary review of the whole traffic situation in the area to try to see what can actually be done to alleviate the problem.